There are people that looked the best during their childhood – they were cure, spunky, and everyone wanted to squeeze their face… And then puberty hit and they had no charm left to work with. On the other hand, there are people that were not so adorable during childhood, but puberty did them justice! They might have started out as awkward-looking ducklings, but these child stars grew into their swan features like nobody’s business! So, when your surroundings aren’t as pleasant as you would like them to be, check out these 15 actors who were graced by puberty. 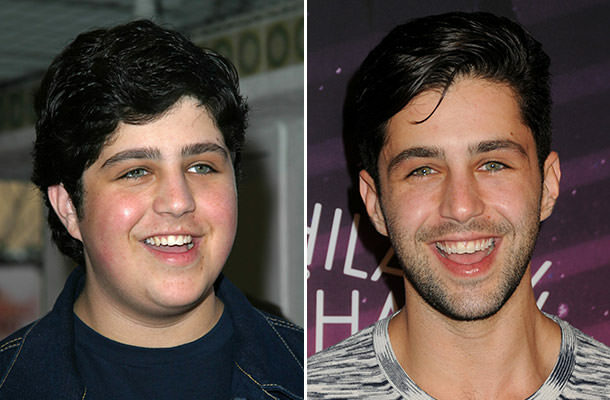 Joshua Michael “Josh” Peck is an American actor, best known for playing Josh Nichols in the Nickelodeon live-action sitcom Drake & Josh, and for, let’s face it, doing puberty the right way! Peck began his career as a child actor in the late 1990’s and early 2000’s. Popularity struck among his young peers after his role on The Amanda Show. Since then, Josh acted in films such as Mean Creek, Drillbit Taylor, The Wackness, ATM, and Red Dawn, along with voicing Eddie in the Ice Age franchise. Once an awkward-looking kid, Josh Peck is now a beautiful man with a smile that could unarm an army and a set of hair worthy of a Disney prince.